Crew Costa isn’t Irish, but for a kid from the school of hard knocks, he’s had the luck of the Irish with his chain of faux-Irish pubs, O’Shaughnessy’s Shenanigans. Number 13 is set to open in time for St. Patrick’s Day. The Bronx is already the site of several authentic Irish pubs, including The Lion O’Brien. Started by Liam O’Brien, the pub is now managed by his youngest daughter Siobhan, but only after her four older brothers refused the job. 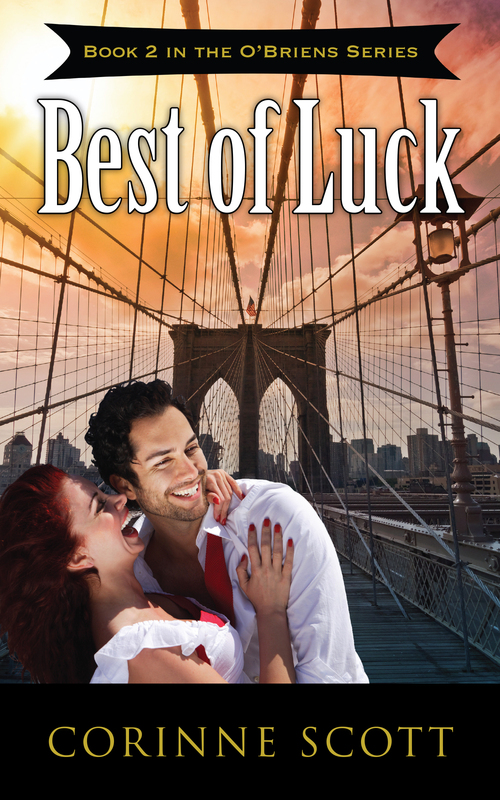 Now Siobhan has to prove she is worthy.Siobhan falls for Crew, literally, after they collide while he is moving into her apartment building. Their attraction is immediate and powerful, but they are rivals. Siobhan is counting on the Lion winning the St. Patrick’s Day Pub Crawl, which Crew has entered as well. The lead-up to the event involves “pranking” your competition, and the older pubs band together against the gaudy newcomer, with its McNaughty the Leprechaun and other cultural stereotypes. For Crew and Siobhan, the pranking quickly gets personal and expensive. Book 2 in the O’Briens Series.